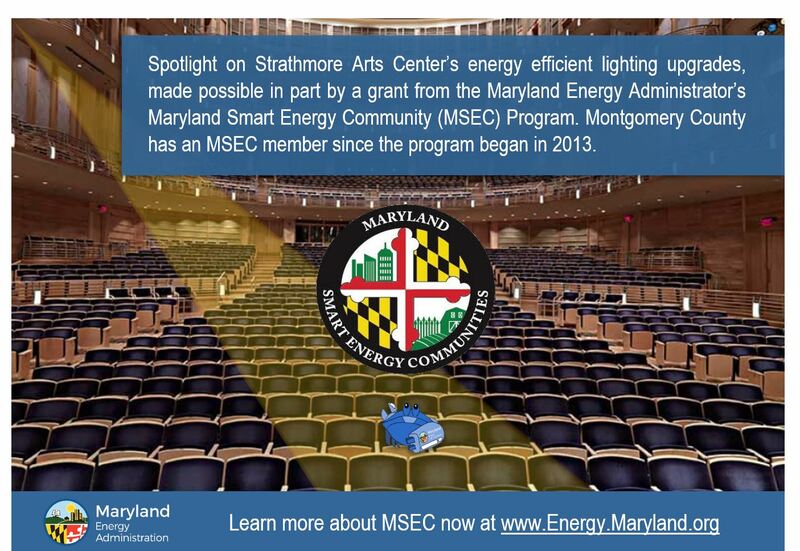 Our Maryland Energy Administration team recently visited the Strathmore Arts Center, a nonprofit multi-disciplinary arts center located in North Bethesda, MD. 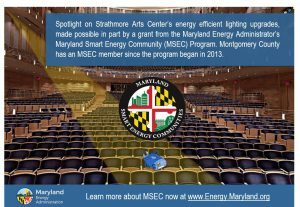 The Strathmore is a one of the several organizations in Montgomery County to benefit from the county’s membership in the Maryland Smart Energy Community (MSEC) Program. 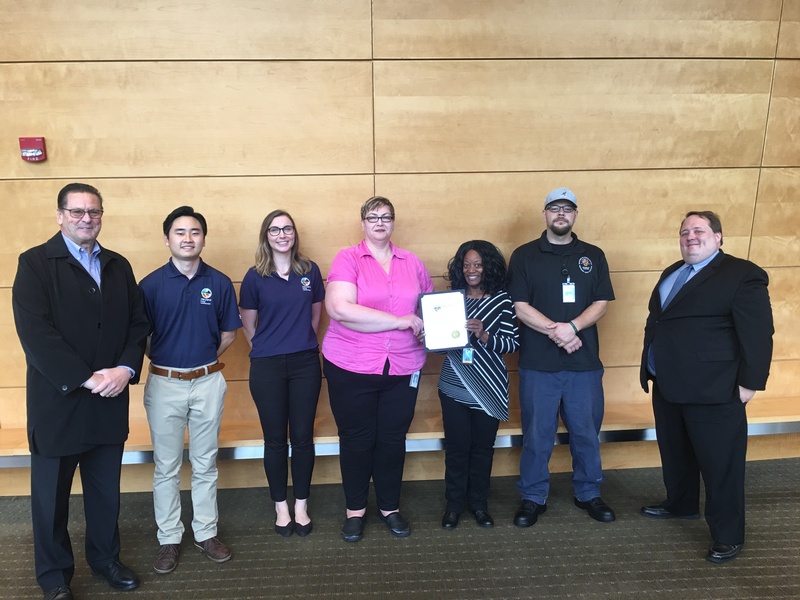 The MSEC Program, begun in 2013, helps local governments adopt energy policies and commit to them for the long term, leading to sustained energy savings and additional opportunities for renewable energy development. 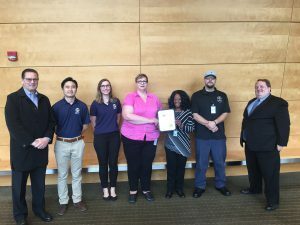 Montgomery County was one of the first groups to sign on to the MSEC Program. 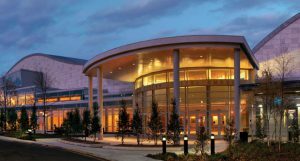 A total of 1,052 bulbs were replaced with LED bulbs at the Strathmore concert hall, equaling an annual energy savings of 473,000 kilowatts per year or $57,000 dollars annually. 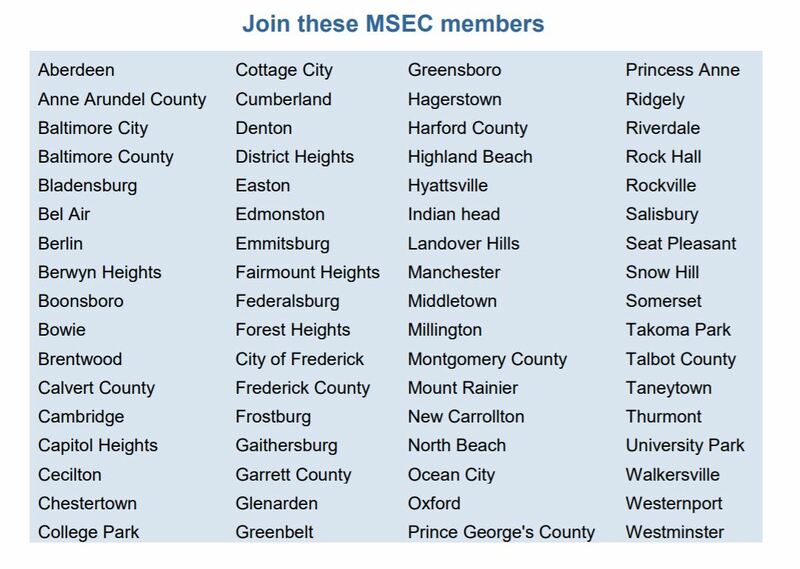 Wonder if your community is an MSEC member? Check the list below or click here for more information.